Remove the intake manifold cover. 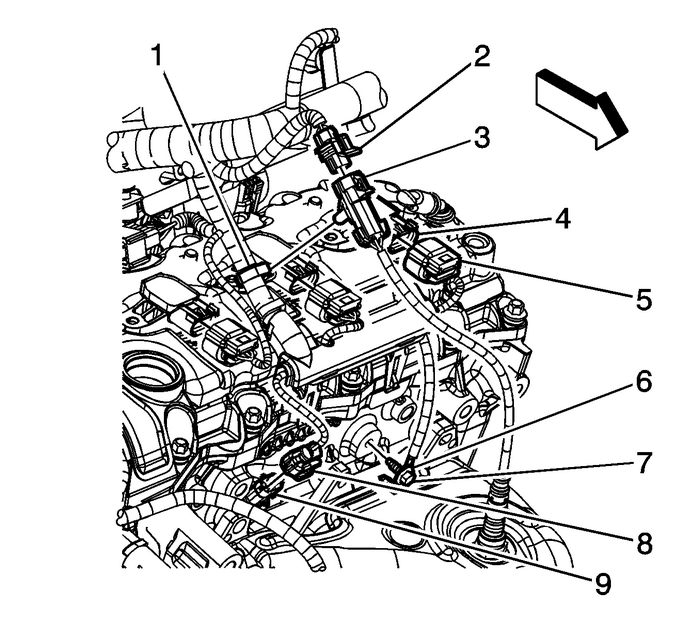 Refer toIntake Manifold Cover Replacement.Disconnect the engine wiring harness electrical connector(s) (5) from the ignitioncoil(s) (4). 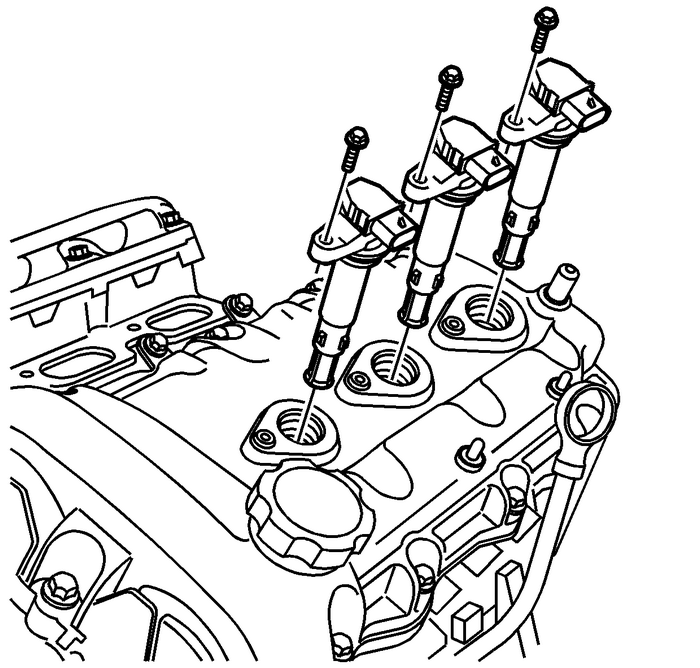 Connect the engine wiring harness electrical connector(s) (5) to the ignition coil(s)(4).Install theintake manifold cover. 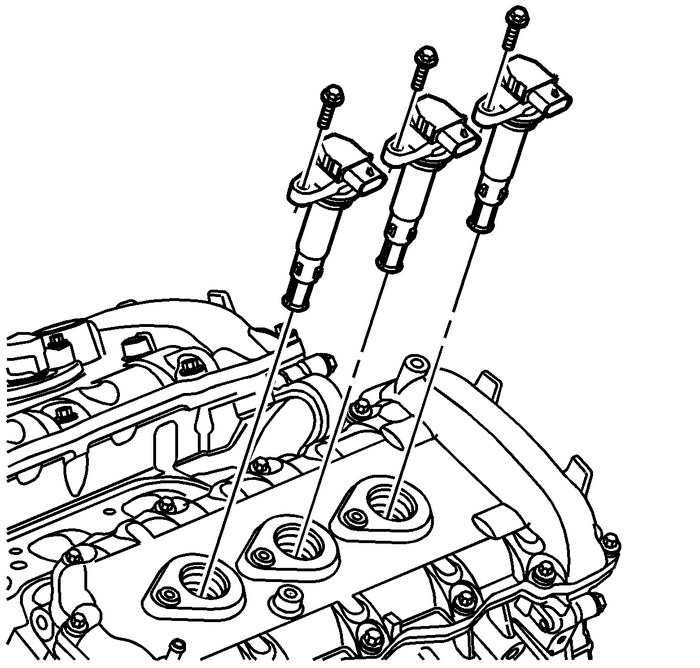 Refer toIntake Manifold Cover Replacement.